Parents have a difficult job. Fear is everywhere, and if we responded to all the adverts around us, making us afraid of the air we breathe and the water we drink, we’d live a sad, drab life. Most of us struggle to find the right food for our children. They need liquid, they need vitamins, they need fiber and they need protein. Sadly many of the popular drinks contain only carbohydrates, and rather too much of that, they are also expensive. I found that my kids would drink cans, but they had learned so much about pollution at school that when I suggested water as a substitute they thought I was mad. The problem with cola/soda is that it’s sweet and kids get used to that. It can also contain caffeine which has more effect on small bodies than it does on adults. In fact when you get right down to it, you wonder why we let them drink it all. There are many alternatives. Sparkling water is one, smoothies are another. Most of us think of smoothies as creamy drinks, and this is great initially when you are persuading your kids to try them out. Imagine if you could persuade your children to drink something which supplied them with the water they needed AND lots of minerals and vitamins, without the caffeine and excessive sweetness? Guess what? 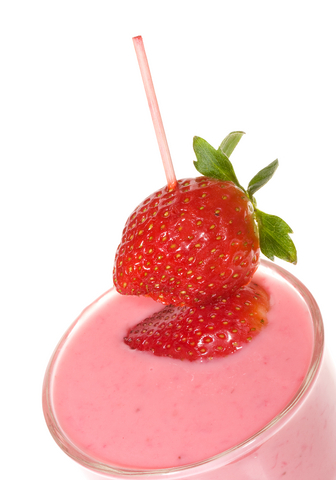 That ideal drink’s a smoothie, so you’ll need a blender. 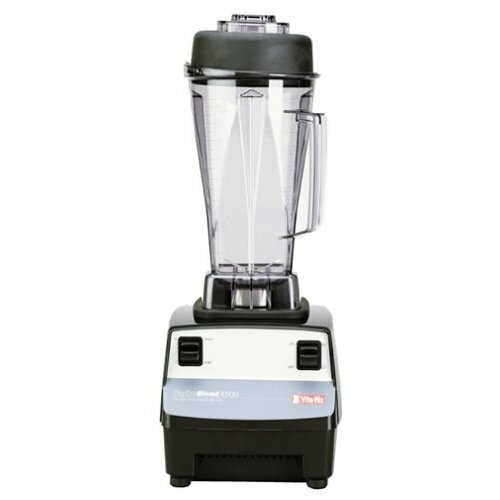 I like the Blendtec Blender HP3A. Take a look at any smoothie recipe and one thing that will jump right out at you is the sugar content. Although smoothies are made with real fruit, modern tastes seem to prefer food which is far sweeter. The good things about this is that the sweet tooth is learned, so it can be unlearned. Ask anyone from outside the USA and they’ll tell you that everything here tastes sweet to them, often too sweet, in comparison to the food in other countries. 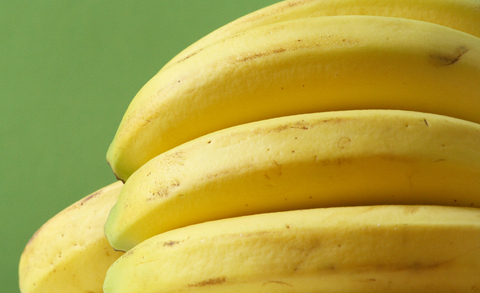 Here are three smoothie recipes to help with the process. 1. The original ice cream drink. It’s important to use strawberries and bananas here because they are nice familiar fruits – don’t try to introduce anything weird or wonderful. If you can’t get strawberries because of the time of year, frozen ones taste great. Blend them all to make a refreshing drink that’s great for the summer. 2. 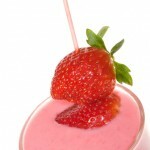 Staying with nice, familiar strawberries, blend them with fruit juice and start to introduce some other fruit. If this isn’t sweet enough, try adding just a little honey. Blend it all together until smooth and then add 1 cup of crushed ice as the final touch. 3. This last recipe introduces melon. I love the taste of melon, especially water melon, but I’ve never been able to persuade my kids to eat it. This recipe had the opposite effect. They liked the drink and so were curious about the fruit. The happy result is a house full of melon eaters. 1/2 melon peeled and chopped into chunks. As always, add honey if required. I like to add ice cubes once the fruit is all smushed (technical term) together, the kids seem to enjoy the destruction involved! Weaning your kids off cola is no easy job, but it’s very worthwhile, especially if you can do it by introducing smoothies. You might just succeed in teaching them that not everything that’s good for you tastes bad. Children seem remarkably resilient and can survive on an amazingly junk food diet, but processed food contains less vitamins and minerals and these are necessary not just for health and growth, but as a foundation for health in later life. The easiest way to access vitamins and minerals directly is through fruit and vegetables, but children often reject these, finding green vegetables unpalatable, and preferring sweetened desserts to raw fruit. It’s amazing how kids can be convinced that foods will only taste good if covered in breadcrumbs, wrapped in a bun, smothered with sugar or at the very least sealed in a packet. Children need to consume the right foods and perhaps more importantly, get into the right habits, so as parents how can we persuade them? Good nutrition is a complex issue, not least because there is so much variation between one person and another. Tests have shown that two apparently identical individuals living similar lifestyles can have very different amounts of vitamins and minerals in their blood. We all know that vitamins are essential, but did you know that minerals, in tiny quantities are also vital to the operation of our bodies, and that no matter how many drugs we consume, without minerals we cannot function properly? But there are even more which are vital to the body in extremely tiny amounts. They act as catalysts in many of the chemical reactions in our bodies, and without them we would die very quickly. Zinc is an example. Nutritionists believe we need around 8-11 mg per day to stay healthy, a tiny amount by any standards, but vital as zinc is essential in the operation of over 100 enzymes. Zinc is used by the metabolism, and the immune system. It is also important for proper growth, and a serious deficiency can result in growth problems. 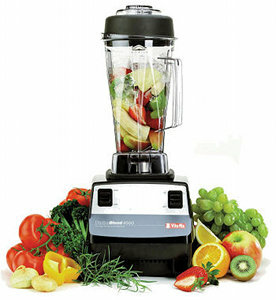 Most fruits and vegetables contain some zinc, but some, avocado, blackberries, dates,raspberries and pomegranates contain more, so if your children refuse to eat zinc rich green vegetables such as Brussels sprouts, french beans or corn, you can always give them their minerals in fruit form, and if that is still not acceptable, create a fruit smoothie using a Vita Mix blender. A cup of Brussels sprouts has roughly the same amount of zinc in it as a cup of raspberries, but for kids, the raspberry smoothie is likely to be a lot more palatable. Blend them all together with your Vita Mix Blender and taste. If it’s too tart, add just enough honey. If you’re just starting with smoothies make them with ice cream in place of the yogurt and milk and present it to your children as a treat. If you have to over sweeten to begin with, don’t worry. You can reduce the sweetening slowly over time. Who should have healthy smoothies? The simple answer is everyone. Using zinc again as an example, recent surveys have shown that 35-45% of adults over 60 have diets which are deficient in zinc, resulting in loss of taste and smell as well as lethargy and loss of appetite. Whatever your age, vitamins and minerals are essential to your health, so get out your blender or juicer and start experimenting. It may be healthy, but it’s also fun. I thought for my first post to my blog I would start off with something I do each day. I make a healthy smoothie with my Vita Mix blender. A “power drink” with everything yummy in side. Using lots of ingredients or not! The nice thing about smoothies is that you can be creative and use ingredients that you personally like and have on hand. If you want to sweeten it up a bit you can do so by adding a little more of the sweeter fruits, such as bananas, peaches or if you prefer you can add a dollop of honey, agave syrup or stevia. If you like them more tart, add more berries. Sometimes I’ll add a scoop of vanilla protein powder. It can be any flavor you prefer. And try adding yogurt, it makes the smoothie creamy and supplies those live cultures to stay healthy, so add a couple of dollops to the mix. You really can’t go wrong. 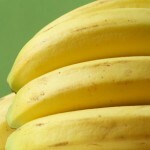 1/2 a banana, I like to put mine in the freezer overnight. Couple of scoops of plain yogurt. Then you can add any liquid vitamins and supplements that you take. Mix it up and voila. Breakfast.